Phlebotomy, also referred to as venipuncture, is the surgical puncture of a vein in order to draw blood from a patient via medical needles. It’s carried out by a qualified phlebotomist, and the blood is then studied by a physician to determine the health of a patient. The blood may also be used for another patient in need of a blood transfusion. Nurses and many other medical staff generally have training in phlebotomy, and in fact many students who intend to go on to become professional doctors may start in a hospital or medical facility working as a phlebotomist. The procedure begins by the phlebotomist first verifying the patient’s identity and preparing the necessary equipment. At this point the phlebotomist washes his or her hands and/or places on gloves. The patient’s arm is then placed on a flat surface so that it is extended and well supported. After selecting a distal and accessible vein, the phlebotomist applies a tourniquet just a few inches above the selected infusion site and the patient is usually instructed to clench his or her hand. The selected site is thoroughly cleaned using an alcohol pad and allowed to dry before inserting the needle. Once the blood has begun flowing into the collection tube, the tourniquet is removed and the patient is instructed to relax his or her hand. Once the required samples are collected, the needle is withdrawn and gauze is firmly placed and held over the infusion site. The tube(s) are then labeled and any contaminated materials are disposed of properly. The sample of blood taken from a patient has to be prepared for laboratory testing, so it’s important it’s handled properly to prevent it from becoming contaminated in any way. One of the most important aspects of working as a phlebotomist is to be able to reassure nervous patients, particularly children, and to become proficient at drawing blood without causing distress or pain. Taking blood from patients is an extremely important part of any medical procedure as it helps to establish the patient’s medical condition. Diagnosis of their problem is the first step in making sure they receive the correct treatment in order to facilitate a cure. The advancement of medical science has been profound in the last century. The ability to diagnose and treat a patient by examining a small sample of their blood has in many instances made it possible to prevent a serious illness from progressing. 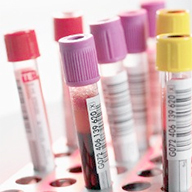 Illnesses such a leukemia, cancer, anemia and kidney disease can all be detected through blood samples. Phlebotomy plays an extremely important role in discovering discrepancies in a patient’s blood which may be causing health problems. It’s a phlebotomist’s care and consideration during the procedure which will make a patient feel secure. Some people do find the experience makes them feel dizzy, but a medical professional is capable of averting their fears and maintaining a calm atmosphere.